Professional VMware - How many turtles can you fit on a rock? 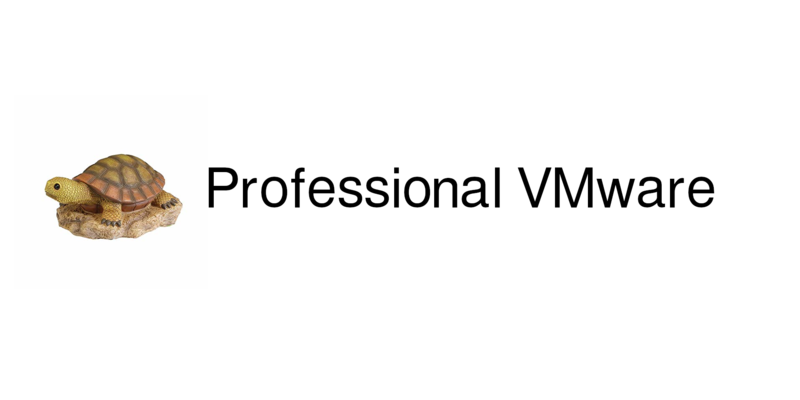 Hello, and welcome to Professional VMware! This is my blog site where I aim to help others wanting to build themselves into the many different areas of the tech industry as professionals as well as reveal some of my insights and applications of the skills and certifications that I have attained over the years. I’ve been in the industry for a couple of decades now, driven by my desire to learn about the many different and ever-evolving realms of technology and their applications. The world is driven by technology and technological innovation now, with cloud platforms, virtualisation, and the many forms of networking being integral to business. Coming out of university as the internet really started to take a foothold in every aspect of life, I’ve been riding the wave of advancements and technological discoveries ever since, always looking for new ways to expand my knowledge and enhance my skill set. One of the best methods that I’ve found for doing this is through the many certification programmes established by some of the biggest names in the industry. VMware is where I’ve specialised for the majority of my career and have earned my greatest accreditation. I have achieved the VMware Design Expert Certification (VCDX) in Data Center Virtualisation (DCV). The VMware certification paths are very clear cut and relatively quick to accomplish, with the path from Associate to Design Expert taking around two-and-a-half years. Cisco Systems, Inc. is a massive, multinational technology conglomerate which specialises in high-technology products and services. Through the Cisco Certifications career paths, I earned the Entry-level CCENT and continued down the path to get the Professional certification in Routing and Switching (CCNP). As the Associate-level CCNA Routing and Switching certification provides a strong footing, I decided to roll with the path so that I can try out another path if I fancy it down the line. When I first heard about Amazon Web Services, I was very eager to get involved with the AWS Certifications scheme simply due to size, power, and brand appeal of Amazon. Their certification tracks are very clear-cut and cover many intriguing topics associated with AWS services. I chose to go down the route of AWS Certified Cloud Practitioner to AWS Certified SysOps Administrator at an associate level, and then to AWS Certified DevOps Engineer at the professional level. I have been tempted to pursue a Specialty certification as well. As I love to learn and earn certifications, I have plenty of knowledge in the many courses available, so one of the focuses of this blog will be to deliver a quick and easy way for you to find the basic information about top-class certification courses to help you get started. I will also be posting my experiences with the knowledge attained on these courses and when I’ve found them applicable in particularly noteworthy jobs to help to give an idea of how diverse and useful the certifications can be to you. I hope that my posts help you on your journey to becoming certified in your favoured areas of technology.